© 2018-2019 Cascadia Viols. All Rights Reserved. A morning of delightful polyphonic chansons from the French secular theater, and an afternoon of French consort music by Le Jeune, D'Estrée, Moderne and du Carroy. All levels welcome. Cascadia Viols is a 501(c)(3) non-profit organization and donations are tax deductible. 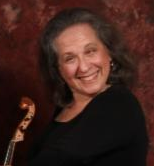 We need donations to cover the cost of bringing nationally known performers and teachers to our workshops, and to provide scholarships to students and others to study the viol.